Clark Contracting Limited offer our customers expert soil testing and where appropriate Lime recommendation service. We can produce maps and records of our customers farms for future information and annual referral. 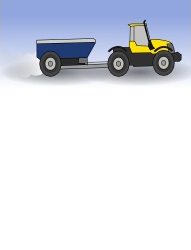 All lime supplied by us is produced at our own quarries. This ensures our complete control of the quality and supply. Our chalk products are of the highest quality with neutralising values reaching as high as 55%. We also offer GPS spreading methods to ensure the most effective and efficient service. Clark Contracting Limited representatives offer a comprehensive and personal service to our customers and we are happy to visit and advise. We are the appointed suppliers to large farming groups and offer the same efficient and personal service to all of our customers however large or small.